A balance transfer is a great way to get a break on interest, especially since so many credit cards offer 0% APR promotions. However, that 0% offer doesn't always mean free. Most banks charge a 3% or 5% balance transfer fee. This means to move over a balance of $5,000, it'd cost you $150 or $250. This fee may be small compared to the money you'll save in interest, but it's not chump change either. Luckily, there is a way to avoid this fee. There are certain cards that waives the balance transfer fee if you make the transfer within a certain time frame. Length of the introductory period. You want a card with a long promotional 0% APR period. This gives you more time to pay off your balance without accumulating more interest. Try to pay off your entire balance (or most of it) before the intro period ends. Regular APR rate. After the promotional period, interest rates will jump to the regular APR. This is usually between 10% and 25%, depending on your creditworthiness. If you tend to carry a balance or know you will need more time to pay off your debt, you'd want a card with lower regular APR. Balance transfer fee. Most banks will charge a 3% - 5% fee to transfer a balance, which will eat into the savings. The cards we're recommending below all have no balance transfer fees. Accessibility. A lot of cards with no balance transfer fees are offered by local credit unions, so not everyone can get one. The ones on our list are accessible to the public nationwide. Some may require you to join an organization for a very minimal fee. Note: Sometimes, a card only has a promotional APR rate for balance transfers and NOT for new purchases. If this is the case, you may lose the grace period on purchases if you do not pay the entire statement balance (including balance transfers) by the payment due date. The cards on our top 5 list all have a promotional APR offer on purchases, so you don't have to worry about this. Here are the top 5 credit cards with no balance transfer fee offers. We've looked at different cards with no balance transfer fees and came up with our favorite 5. 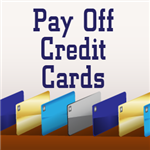 These cards were chosen for their 0% APR promotional period, low interest rates, and other benefits. All have no annual fees. Note: Information including interest rates, benefits and fees was obtained on August 23, 2018 from published websites and are believed to be accurate, but not guaranteed. Warning: Make sure you complete the transfer in the first 60 days. After 60 days, you'll be charged a 5% transfer fee ($5 minimum) for subsequent transfers. Note: This card also does not apply a penalty APR for late payments. You get 0% introductory rate on purchases and balance transfers for 12 months (after that, the variable APR is 11.74% - 18.00%) for transfers made within 90 days of account opening. There is no balance transfer fee, foreign transaction fee, and cash advance fee. This card also offers rewards. You get 2 points per every $1 you spend on groceries, gas, electronics, medical, household goods and telecommunication services. All other purchases earn 1 point. The points can be used for cash back, gift cards, and travel. Note: This is from a credit union, but you can apply even if you're not a member. Or you can become a member by getting a membership with Financial Fitness Association ($8/year) or Computer History Museum ($15/year). This card offers 0% intro APR for balance transfers for 6 months. After that, the APR starts at 11.90%. There is a bonus of 5,000 points after spending $2,000 in the first 3 months, including balance transfers. You also get 1 point for every dollar spent, which can be redeemed for cash back, travel, electronics, and home goods. You can become an Aspire Federal Credit Union member by joining the American Consumer Council for just $5. A balance transfer is the fastest way to pay off your debt. The purpose of making a transfer is to move your balance to a new card with lower interest, which can save you a lot of money over the long run. Many cards offer a 0% APR promotion for balance transfers. This gives you a period of time to pay off the balance without accumulating more interest. For example, let's say you have a balance of $4,000 and you can make monthly payments of $250. With a current interest rate of 12.77% (the average credit card interest rate), it will take you 18 months to pay it off. And it would cost you an extra $408 in interest. If you transfer that balance to a new card with a 15-month intro 0% APR (and 13.99% afterwards), it will take you 17 months to pay it off. But the major difference is that interest will not be accumulating for the first 15 months. After the intro period ends, it will only cost you only $3 in interest before you're done paying off that debt. A balance transfer is one of the smartest things you can do to pay off your debt faster. However you need to be diligent. 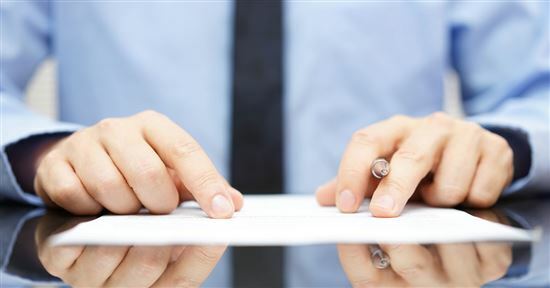 Understand the issuer's terms and conditions and plan to pay off that balance (or at least as much as possible) before the promotional period ends. At the end, we have a balance transfer calculator that you can play with to see how much you stand to save with your unique situation. We've given you a few options for cards without a balance transfer fee. But you should still do thoughtful comparison shopping. 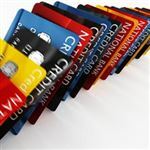 The fact that a card does not have a transfer fee should be just one aspect of your choice. Will applying for a balance transfer card lower my credit score? Generally, it won't lower it so much to cause a difference. Although applying for a new credit card does generate a "hard credit inquiry," which will negatively impact your credit score, the impact is usually negligible, typically lowering your FICO score by just a few points. You need good credit. You need to be approved for the promotion just as you would any other new credit card. If you don't have a good credit score, you may not be eligible for the 0% APR promotion. If your credit isn't stellar, even if you do get approved, your limit may be low. You can only transfer a balance up to your credit limit. If you have bad credit, you most likely won't get approved. The best option is to work on building your credit with a secured card. Pay attention to the regular interest rate. If you think you may need more time past the 0% promotional period, you may want to go for a card with lower regular interest rate. You can only transfer between different banks. Credit card companies that are offering these deals are trying to attract NEW customers. So you can't make a balance transfer from a current Chase card to a new Chase card. It has to be to another bank. Use the convenience checks mailed to you by the company. You may lose the promotional APR rate. If you miss a payment after completing a transfer, it could negate the issuer's balance transfer deal. You could lose the promo APR rate and may also be subjected to fees and the penalty APR. 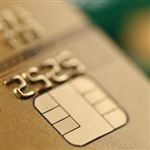 Will the new card change the promotional interest rate at any time? 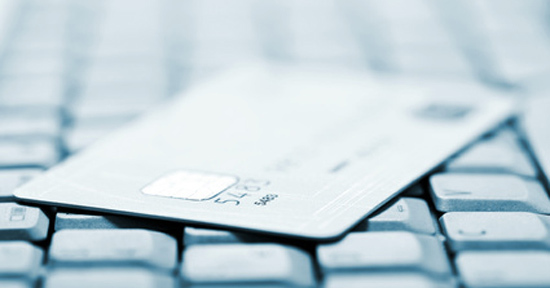 Federal law prohibits card issuers from using this kind of "bait and switch" tactic. As long as you make payments on time and abide by the cardholder agreement, a card promising a 15-month, 0% intro APR must keep that promise. The APR that applies after the intro period could change, however. Pay off the balance before the promotional period ends. Pay attention to when the intro period ends and the regular interest rate will kick in. Aim to pay off your balance by then. Or if you can't, understand what the impact will be or have another plan. For example, maybe open another balance transfer card. There are a few reasons why a balance transfer may not be feasible for you. Maybe your credit isn't good enough to get approved for a card. Or maybe your balance is higher and the credit limit you're given isn't enough. Consider a personal loan. A personal loan can help you consolidate your debt so you only need to keep track of one payment to one creditor. Often, the interest rate will be lower too. But only consider this if you are deep in debt and need years to pay if off. And if you have a solid plan to make monthly payments. Otherwise, you'd be stuck with the same loan just in another form. Check out our detailed SoFi Personal Loans review. This may also be a good option for those with fair credit. You may find it easier to qualify for a personal loan with a larger amount. Peer-to-peer lenders. This is when you get loans from individuals, instead of from a bank. How it works is that after you're approved, the loan will be deposited into your bank account and you can use that to pay off your credit card(s). Then you will just have one monthly payment to the lending platform. You can select your term and you will get a fixed rate. Two popular peer-to-peer lenders are Prosper and LendingClub. Put up your assets with Borro. This is an innovative idea to secure some funds. If you have valuables, you can put them up as collateral and Borro will give you a portion of the value of your items. Since this is based on assets you already have, there is no credit check. You will get a term to pay back the loan. If you don't, then Borro will keep your items. Items they accept include: jewelry and diamonds, fine art, fine wine, and luxury handbags. If you have hefty balances, you may benefit from making a transfer in the long run. But before making the move, use our balance transfer calculator to determine if the card's benefits are likely to outweigh the costs. After opening the new account, remember to move over any balances within the promotional no-fee period. Disclaimer: The information for the BankAmericard® credit card, The Amex EveryDay® Credit Card from American Express, and Chase Slate has been collected independently by CreditDonkey. The card details on this page have not been reviewed or provided by the card issuer.